The feature-packed Version 2 software update brings powerful new performance enhancements and unparalleled flexibility to the DD-500. Even more control has been added, with an improved A/B simultaneous mode for advanced routing as well as new Series and Parallel modes. Five new effect types have been added to the current delay algorithms, plus many updated parameters common to all modes. The update also offers lots of user-requested features, including additional MIDI controls, new modulation types, a feedback loop function for inserting external effects, adjustable input and output levels, selectable EQ position, and more. 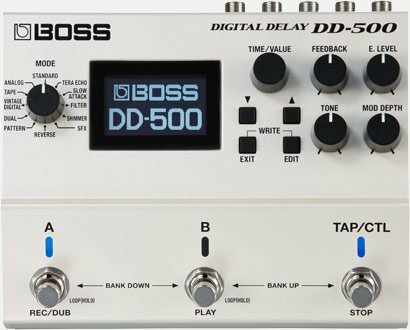 DD-500 Version 2 software is a free, user-installable update for all DD-500 owners, and is available in the Downloads section.